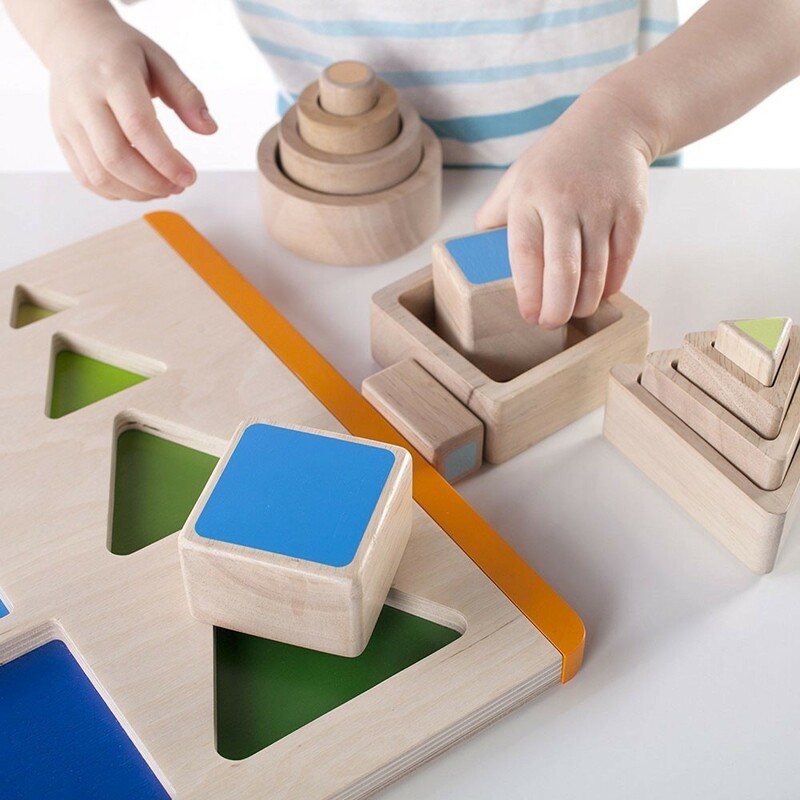 Inspired by the Montessori education, this set of 4 activity toys creates unique sensorial learning environment for toddlers and preschoolers. 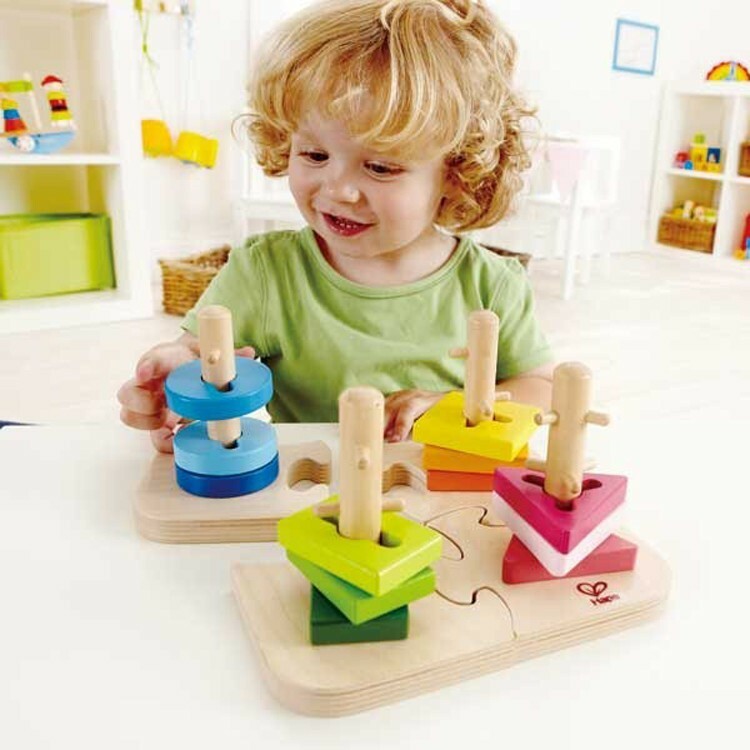 Maria Montessori, a world-known educator, believed that children learn by doing. 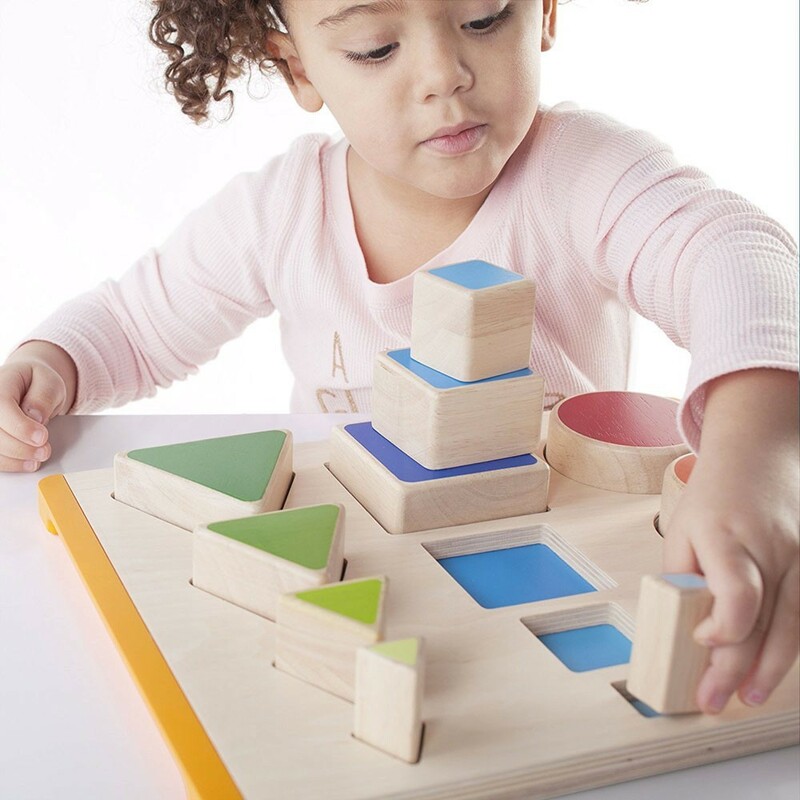 By focusing on teaching for understanding, not memorizing, the Montessori learning tools create special productive environment for learning new concepts and skills, developing hands and minds. 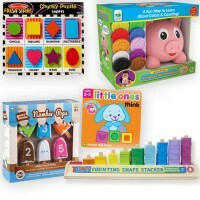 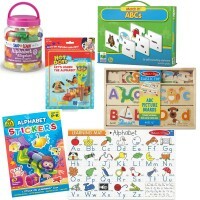 Educational Toys Planet compiled together this set of Montessori Learning Materials for 2-3 Years that promotes coginitve development and inspires discoveries. 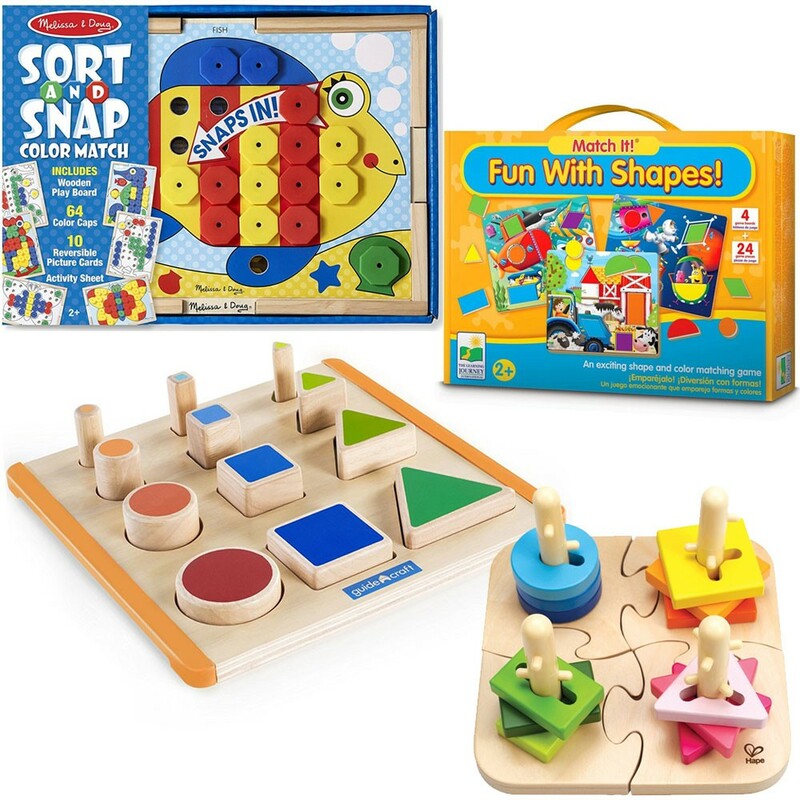 The Montessori inspired educational kit contains 4 bestselling activity toys: Fun with Shapes Match It! 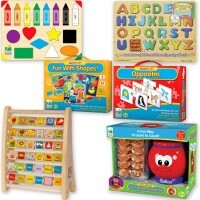 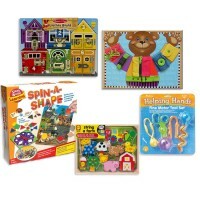 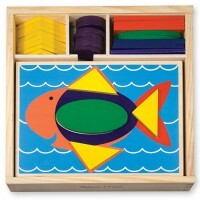 - Shapes Learning Toddler Puzzle by the Learning Journey, Sort & Snap Color Match Learning Toy by Melissa & Doug, Nest & Stack Shapes Wooden Activity Board by Guidecraft, and Creative Peg Puzzle - Toddler Wooden 3D Puzzle by Hape. 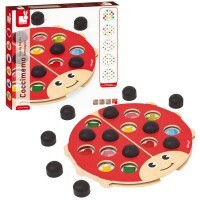 The sensorial materials are a direct preparation for the development of mathematical reasoning. 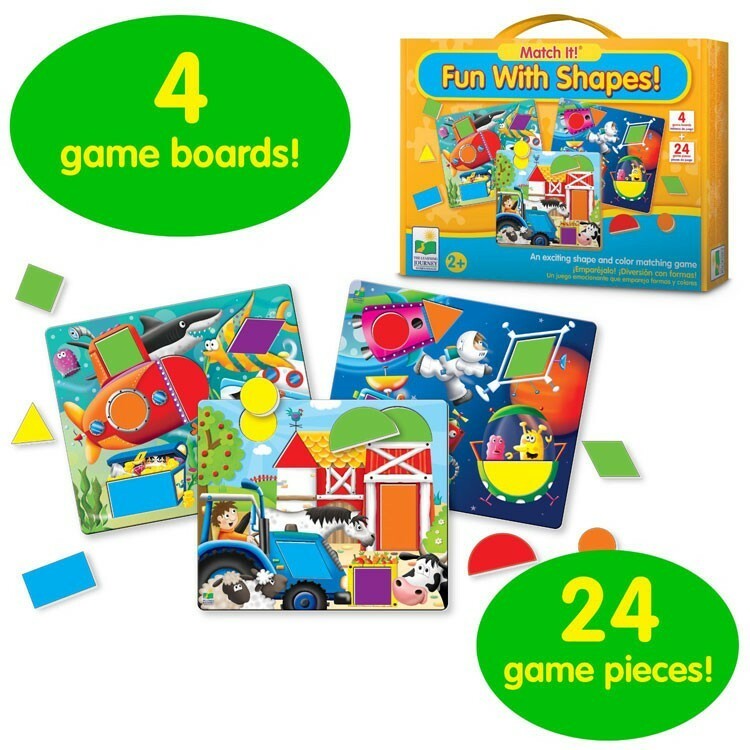 The Fun with Shapes game offers two levels of fun: a shape learning puzzle, and Find a Shape matching game. Sort & Snap set comes with a wooden tray, 10 double-sided picture panels, 64 colorful snap caps and design samples to create first mostaic pictures. 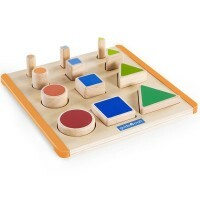 The Nest & Stack Shapes board has puzzle places that correspond with three sets of color-coordinated shapes: triangles, cirlces and squares. 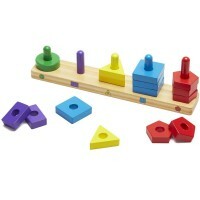 Each set of 4 shapes begins with a large, darker color shape, and ends in a small, light color one. 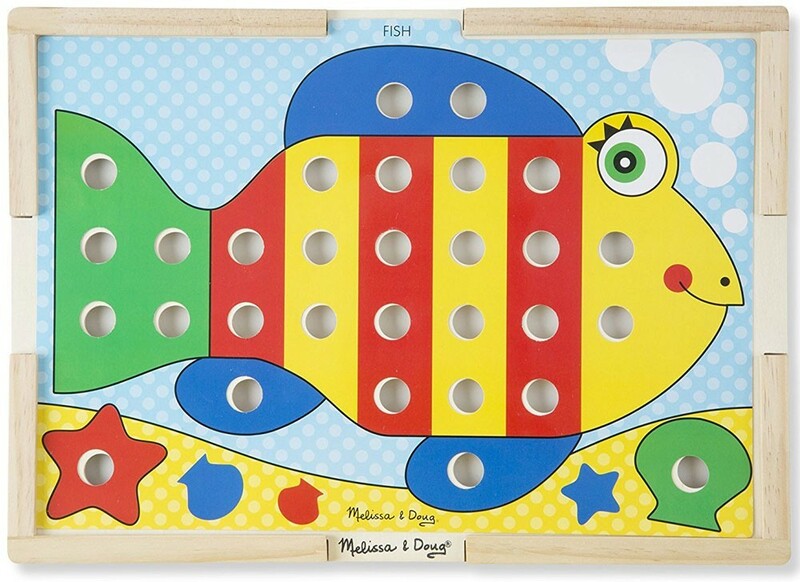 HaPe's Creative Peg Puzzle features a wooden base with pegged posts, and 16 different grooved shapes to place and twist them on the pegged posts. 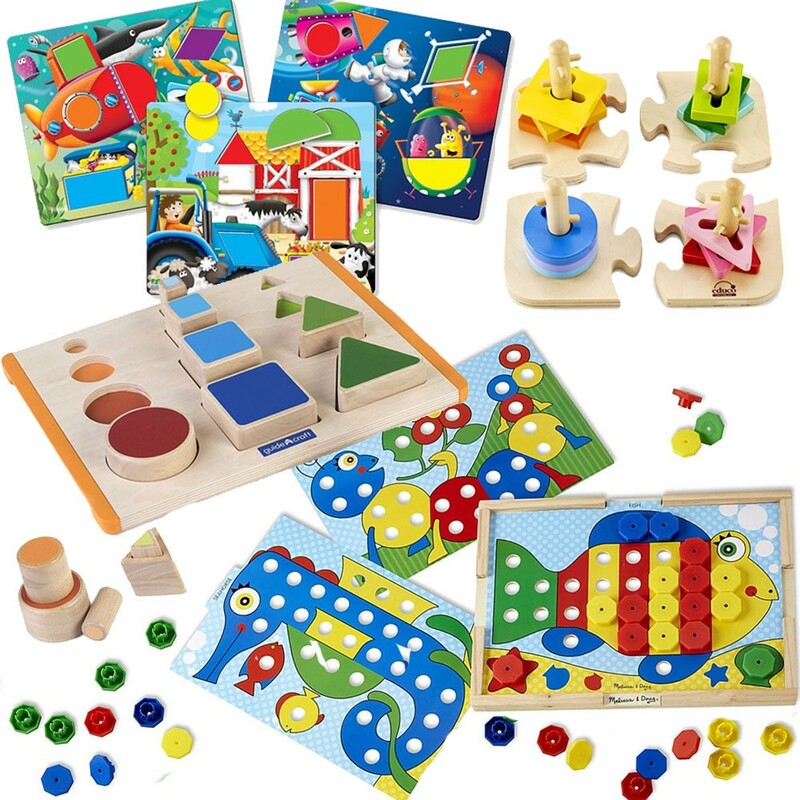 Educational Toys Planet's Montessori inspired kit provides perfect working materials to match gradations of size, shape, color, and material, so child’s senses are refined and perceptual awareness is intensified. 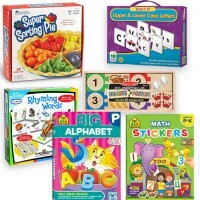 Dimensions of package 0.1" x 0.12" x 0.1"
Write your own review of Montessori Learning Materials Set for 2-3 Years.